I have been a bad boy. It has been weeks since my lecture at the Indie Game Summit during GDC and I haven’t put the slides on the blog. Hopefully, anyone interested in them already got a look at them on SlideShare, but I do need to share them here as well, and I need to share more. I think the number I gave didn’t properly reflect the reality. 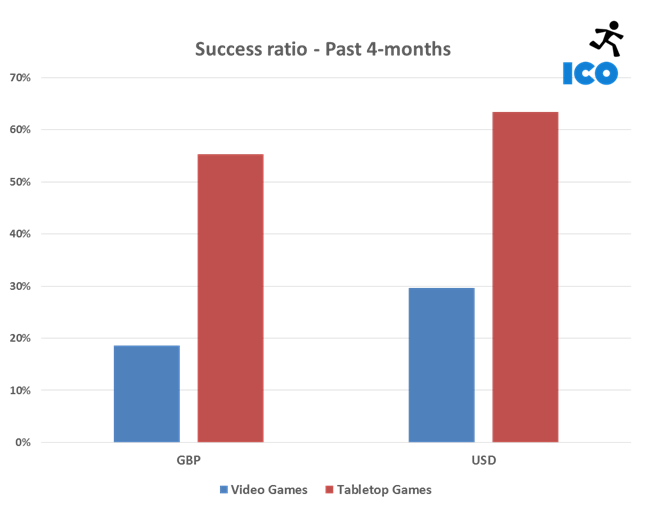 I had a discussion with Cindy Au during GDC and explained I found the variance was large and wondered why. She offered great insight on this and it basically came back to the survey question probably being misunderstood. In my own case, the failed payments were less than half a percent and she said that average was probably around 2% or 3%, I trust her on this. So, the volume of GBP projects is still significantly smaller than the USD projects, but there were still 21 GBP projects in March. two of which got funded. Meanwhile, there were 99 projects in USD with 22 of them getting funded. They were more funded projects in USD than the total of GBP projects in that period. GBP projects are struggling more to get funded than USD, with March a real wash – despite having seen more GBP projects than the previous month. It might be a self fulfilling prophecy as talking to studios based in Europe, most are considering to launch their projects in USD, including British studios. Having the data on failed campaigns is very promising in terms of being able to research success factors. A last bit of data we can share today is about seasonality (from what we can see so far). 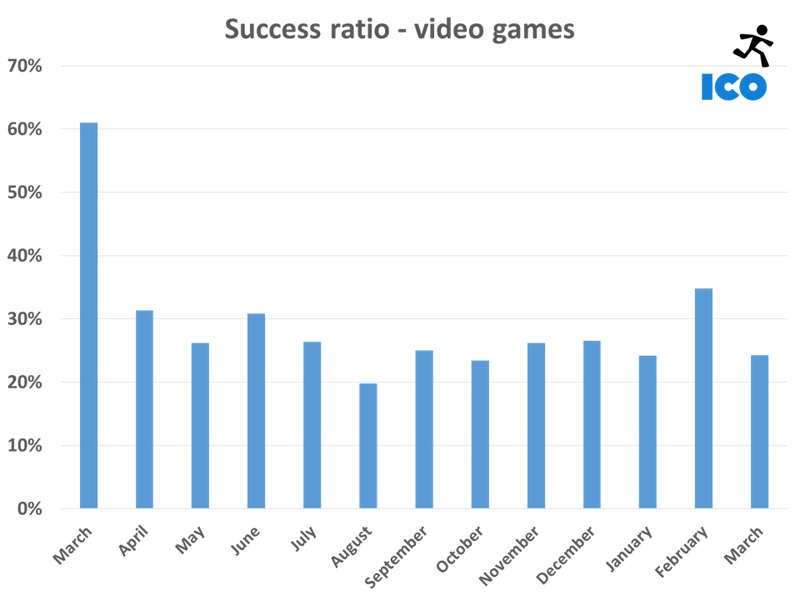 So, March saw a huge peak is due to Doublefine Adventure. The vast amount of people they brought to Kickstarter basically benefitted a lot of projects that were live at the same time DFA was. The most significant seasonal effect happened in August. 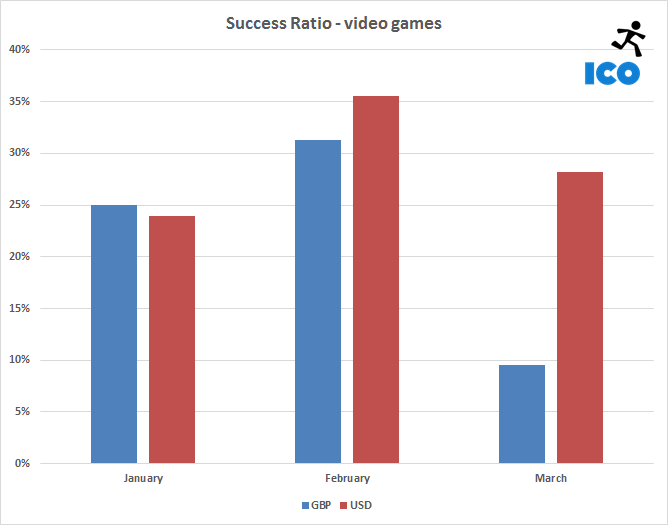 The projects ending that month had a difficult time, probably due to a number of reasons: there is less media coverage during the summer; backers are probably away from their computer for a significant proportion of them; and somehow many studios decided to launch during that month, making it made it more complicated to get noticed. This is just a small peek at the information, we will be able to go more in-depth in the coming months when time allows.